As a remedy, he presented the Main Street Marshall Plan: From Poverty to Prosperity, a sweeping proposal for economic and social revitalization of America’s cities and struggling neighborhoods. The centerpiece of State of Black America, the Equality Index, measures the economic and social status of African Americans relative to white America, with 100% representing full equality. This year’s index, 72.3%, is only slightly higher than last years, but Morial pointed out that the nation has experienced significant gains, particularly in employment and health. 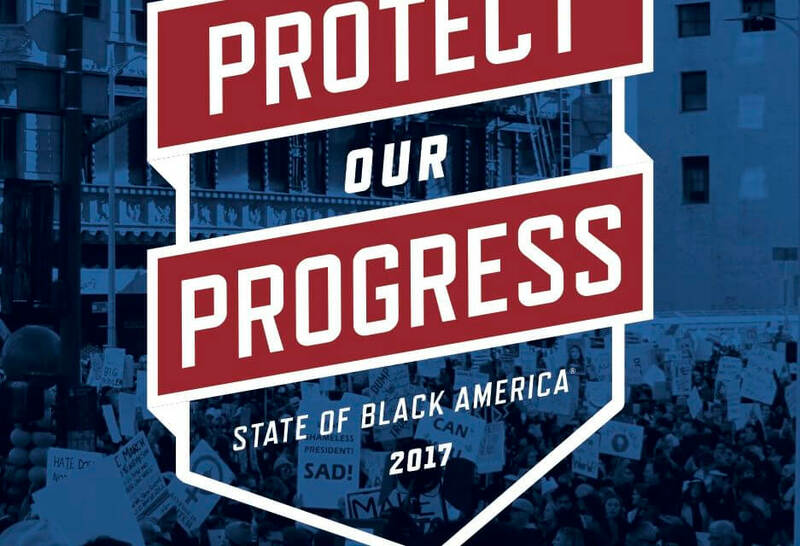 The report is available free of charge at www.StateOfBlackAmerica.org and includes detailed analysis and commentary from distinguished contributors U.S Sen. Cory Booker, Black Lives Matter co-founder Opal Tometi, New York City Council Speaker Melissa Mark-Viverito, U.S. Reps. Bobby Scott, Karen Bass, Cedric Richmond and Terri Sewell, and others. Morial also cited the Department of Justice’s aggressive enforcement of voting rights, despite the 2013 gutting of the preclearance requirement of the Voting Rights Act, and its use of consent decrees to address racial discrimination, profiling and excessive use of force in a minority of police departments. “A little more than three months since President Obama has left office, much of the economic and social progress we saw under his watch is under imminent threat,” Morial said. The new Attorney General has ordered a review of all law enforcement consent decrees, a move that threatens to undermine positive policing reforms in some of the nation’s most troubled police departments. The Justice Department reversed course on fighting a Texas voter I.D. case that a federal court determined was passed with deliberate racial discriminatory intent. Though defeated for the remainder of the fiscal year, the so-called “skinny budget” – remains a threat and represents a massive transfer of vital resources and fundamental social protections into unrequested and unnecessary military spending. The Main Street Marshall Plan calls for a national investment of $4 trillion over the next 10 years: $2 trillion for physical infrastructure such as roads, bridges and buildings and $2 trillion for human development, such as education, job training and health insurance. Central to the plan is a comprehensive infrastructure initiative which must include a strong jobs-building component that guarantees minority business participation and employment for workers in high-unemployment neighborhoods. Other highlights include universal pre-k education, a $15 minimum wage with increases indexed to inflation, reforms to financial and educational institutions and programs, criminal justice and police reform and expansion and protection of voting rights. The National Urban League is a civil rights organization dedicated to economic empowerment to elevate the standard of living in historically underserved urban communities. Founded in 1910 and headquartered in New York City, the National Urban League spearheads the efforts of its local affiliates through the development of programs, public policy research and advocacy. Today, the National Urban League has more than 90 affiliates serving 300 communities, in 35 states and the District of Columbia, providing direct services that impact and improve the lives of more than 2 million people nationwide. Follow us on Twitter @NatUrbanLeague. The mission of the Urban League of Greater Madison is to ensure that African Americans and other community members are educated, employed and empowered to live well, advance professionally and contribute to the common good in the 21st Century. We are working to realize our mission through a comprehensive strategic empowerment agenda that includes the deployment and expansion of programs and services, advocacy, partnerships, and coalition building in the areas of employment and training, youth development, home ownership, community engagement, and more.